Honeywell is an air purifier brand that focuses on innovation, security, and connectivity so that the world can be cleaner and more sustainable. They focus on producing products, like a line of air purifiers, which help people deal with the challenges of urbanization and critical health issues. 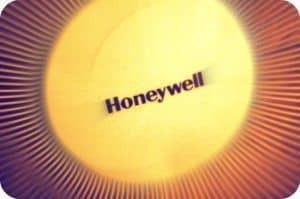 Honeywell is a Fortune 100 company with over $40 billion in annual sales. Each model produced by Honeywell offers a home a specific feature that may meet your needs. By comparing and contrasting each model, you’ll be in a better position to choose the right air purifier the first time around. What Is the Honeywell Difference? It is an initiative called HUE, or the “Honeywell User Experience.” It is an internal philosophy, which leads this company to produce products that are smart and practical. The air purifiers fit in with the HUE initiative by being products that are easy to install, to use, and to maintain at home. The goal of this brand is simple: to make sure their air purifiers are intuitive, but still useful, so you receive the experience you need in your home. Honeywell air purifiers are available in most retail centers, from Amazon to Home Depot, giving you warranty servicing options should something unexpected happen. Many Honeywell air purifiers offer true HEPA filtration, giving you 99.97% particulate filtration for your preferred room. The cost of a Honeywell air purifier is competitive with most other brands. Innovative technologies, which “includes a patented 360 degree air intake and discharge that maximizes overall efficiency, while circulating the surrounding air,” help to make sure your home has the high quality indoor environment you want. A complete code of conduct has been implemented to cover transactions, R&D, and even employee training so your air purifier is the best it can possibly be. The full list of annual awards that Honeywell receives is too numerous to list here. From having one of the world’s best CEOs to awards for innovation, workplace environment, to being the #4 World’s Most Admired Company in 2016 according to Fortune, you can rest assured that Honeywell is going to make sure the air purifier you choose is going to do its best to meet your needs. What Are the Prices of Honeywell Air Purifiers? Most of the air purifiers produced by Honeywell are going to be in the $100-$200 range. Some cheaper models are available, but many of them only offer “HEPA-type” filtration and that may not be beneficial for some homes. There are larger models intended for whole home solutions or very large rooms that are above this price point. On the whole, however, Honeywell’s prices are in-line with other air purifier manufacturers today. For starters, this air purifier comes equipped with a true HEPA filter. There aren’t any marketing terms here to make you think that you’re getting anything but the HEPA filtration that you need. It captures 99.97% of the common allergens that can make you feel miserable. You’ve got 3 speed settings for the fan as well, so if you’ve just come in from an adventure outside, you can set the air purifier to high and limit your bothersome symptoms. With a powerful motor, strong sealing technologies, and a 360 degree air intake/discharge, this air purifier maximizes its efficiency very effectively. Place it in any area of your room and you are going to notice a difference. At 390 square feet, you’ll receive a CADR of 250+. In smaller rooms, you can receive 20+ air changes per hour for fast relief. There is some noise associated with this unit, which may be problematic for some with sensitive hearing, but we found the positives far outweigh whatever negatives are present with this air purifier. This is one of the best models from the Honeywell brand for allergy sufferers. Not only is this brand often ranked at the top by allergists who recommend air purifiers, but you’ll see benefits in even large rooms up to 465 square feet in size. The controls are easy to reach, right on top of the air purifier, so you can always have the customized experience you need. Capture airborne germs, trap pollens, and eliminate pet dander with ease. The carbon pre-filter even reduces odors pretty effectively. Give it a try and we think you’ll agree that this is one of the best Honeywell air purifiers out there right now. This round air purifier gives you faster cleaning of your indoor air thanks to its unique design. Set it in the middle of your room and you’ll remove 99.97% of airborne particles and reduce bacteria by up to 99.4%. The lifetime true HEPA filter is remarkably easy to clean, limiting your ongoing maintenance costs. It would be nice if there was a remote control available to operate this unit, but the full circumference air intake and discharge is a positive that is difficult to outweigh. We found great results with this particular model and think you will as well. This is the portable solution you can take with you to the office or in your RV when you want better air to breathe. It’s compact enough to sit on a desk or tabletop, yet still capture a large majority of the particulate contaminants that are in the air. The optional ionizer is a nice touch for those who want to have the feature. It’s a little loud at 60dB, but effectively cleans up to 85 square feet, and you can’t beat the price. If you need an affordable solution, this could be the best Honeywell air purifier for you. This is another option from Honeywell for those who suffer from allergies. This is a model that we’d consider to be “bedroom support.” Set it next to your bed on a dresser, nightstand, or bookshelf and you’ll notice some immediate changes in the indoor air quality. Carbon pre-filters help to trap odors as well. You receive three different air cleaning settings so that when pollen counts are high, you can still experience relief. Many users report needing less overall allergy medication with this type of air purifier in their rooms. Could that be you as well? Having an allergy air purifier in your bedroom is a good thing. The only problem is that you’ll still have allergy problems throughout the rest of the house. This is where an upgraded Honeywell air purifier can really help you out. This model offers all of the same features that the other allergen models from this brand provide, but on a larger scale. You’ll receive indoor air quality benefits for up to 310 square feet of space within your home. Keep up with the filter replacement notifications for best results and you’ll see noticeable relief from your allergy symptoms over time. This tower-style purifier is a great low-maintenance option that you can run in your home 24/7. It offers a built-in ionizer that can help to trap stubborn contaminants, while the permanent pre-filter takes on the odors you might have. Electronic indicators let you know when it is time to service the filters in this unit. It will capture pollen, pet dander, dust, and other common allergy and asthma triggers. It’s also ARB Certified to comply with current government standards on ozone, so even the most sensitive of individuals won’t have to worry about the quality of their air. It’s a great price for a great air purifier. This Energy Star rated option from Honeywell offers you a patented opportunity to achieve clean breathing. It’s super quiet when operating, making it the perfect addition to a bedroom. The tower design helps to save space without affecting the results you can achieve. A germ capture mode is complimented by a max cleaning power option so you can have strong or customized results based on your needs. If you want an air purifier that can do it all, then this is one of the models you’ll want to consider today. The one thing we loved about this allergen reducing air purifier is that it has a pollen sensor equipped to it. If pollen levels are higher than normal in your home, then this air purifier will automatically turn on and get to work. It is also compatible with Android and iOS devices through a helpful app that lets you control the air purifier via remote control. Working in rooms up to 310 square feet in size, this could be the solution to your allergy problems for a surprisingly good price. Indoor air quality is often worse than the outdoor air quality, but you’ve got to do more than opening your windows. The best Honeywell air purifier reviews will help you find the perfect model that will meet your home’s needs today.